Tata Harper Company Review 2018: Embracing Simplicity! Home | Cosmetics | Tata Harper Company Review 2019: Embracing Simplicity! Is Tata Harper Cruelty Free? I came across this line of skincare products while looking for an all-natural face oil for my mom’s birthday. What impressed me was the care that this company puts into every bottle. 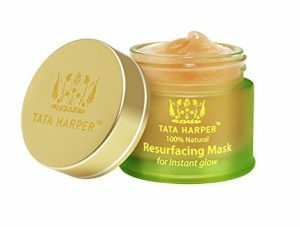 All of Tata Harper’s products are organically grown and are also cruelty-free; two things I love about any kind of skincare products. My mom isn’t so into the organic brands, but she definitely prefers them over using “refined” products. The only negative thing is that because these products don’t have chemical preservatives, the cream or cleanser will only be good for six months after opening. That’s because they are produced and packaged all on the Tata Harper farm in Vermont with all-natural, GMO-free ingredients. Still, six months is pretty decent lasting time, especially for something like face oil which you would use every day. Now, here’s the part that makes me hesitant to purchase these items: the price. I think I’d love to use these products for the day at the spa. That is, when I’m already shelling out a couple hundred bucks to help exfoliate and clear up my face. However, I know that these prices aren’t jacked up to just appear super-exclusive. They cost that much because this is a company that grows its own products, creates its own recipes, bottles its own formulas and ships out the bottles itself. This whole process shows how much thought is put into each and every product, which makes it worth it when you want to invest in actual high-quality creams and cleansers. And trust me, they make great gifts. It was a delight to learn about Tata, who now lives on a farm that is 1,200 acres but grew up in Columbia. Her inspiration came from finding natural products for her stepfather, who had skin cancer and had to find toxin-free products. She basically started the green movement, after finding out that there was no product or skincare line that specializes in toxin-free, non-GMO products. She moved from Miami and settled in Vermont, opening her factory in 2010. Not every plant can be grown in the clay soil in Vermont, so many products are shipped in from all over the world, from 58 different countries. The company started with just Tata, her husband, and two other hired workers to mix, fill, package and ship products. It now has evolved into a much bigger operation where over 200 people work. Most “natural” companies think less is more – a moisturizer could have two to three plant-based ingredients. The formulas made at Tata Harper’s are the complete opposite, being full of plants, oils and scents. I’m not sure if I agree if less is more when it comes to a face or body cream, but it’s interesting how Tata stands out in the market by putting more ingredients in a product. The first thing I wanted to bring up before listing the types of products is that each product has two tips of how Tata herself uses them, and which additional products go well together. There are even videos showing her using the products. She looks like the cool mom in your friend group that you want to be best friends with. Anyway, there are tons of products you can buy through this site, all to benefit your skin. There are creams, serums, and oils, and each product lists which skin type they are for. There is a popular age-defying line, as well as products made especially for dry, dull, blemished or sensitive skin. You can buy a cleanser, face mask and under-eye treatment, knowing they are all toxin-free. Products can be purchased on the website, but high-end department stores also sell them. These include Saks Fifth Avenue, Neiman Marcus, and Bergdorf Goodman. Best-selling products include regenerating cleanser, moisturizer, eye cream, eye-defying skin care kit, face oil, face mask, and a few serums. Five of these best-selling products are all new. Each product is made in batches, and once the product is sold out, that is the last of the batch available in the whole world. It kind of makes every product exclusive. It’s like when you bake cookies. You use the same recipe, but it’s always special and different every time. 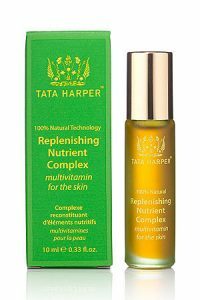 Not only is Tata Harper cruelty-free, all products are free from GMOs, toxins, fillers, artificial colors and fragrances, and synthetic chemicals. The company is part of the Leaping Bunny Association, which is against using animals for testing products or cosmetics. They are also PETA certified, which shows that they do not support cruel treatment of animals. Most of the products are vegan as well, but some do contain honey, beeswax and carmine (made from crushed beetles). Okay, on to the products themselves. The Resurfacing mask helps with blocked pores, dull or gray skin, and acts as a moisturizer. It dries on your skin and you can peel it off. It’s supposed to leave your skin supple and glowing and help open your pores. 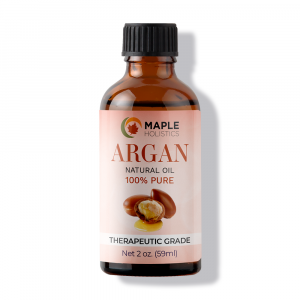 This is the second-most expensive serum of the six other serums available, but after reading through the ingredient list, it makes sense. There are ingredients imported from other countries to create the perfect product to soothe, tighten and lighten your face. This is included in the anti-aging line and the product description says it does 27 things, just like Tata described. I don’t own any anti-aging serums, nor do I especially want a serum as of now, but I know that it is lightweight and super absorbent, which especially helps dry skin. 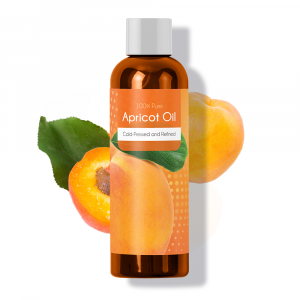 Apparently, this product works well to get rid of dark spots and smooth wrinkles. Keep in mind, though, that the same kind of thing can be achieved by making sure you’re fully hydrated. Alternatively, there are natural skin cleansers you can make yourself, like a sugar scrub and honey mask, that can achieve the same result. Still, it might make for a nice gift for a friend or relative. This cleanser is a practical and affordable. It helps to clean dirt, oils and makeup off your skin, even waterproof makeup. It’s a gentle cleanser, which means it doesn’t dry out your skin. 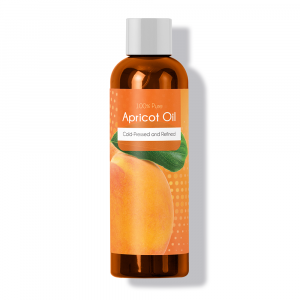 This product also claims to shrink your pores and give your skin a natural glow, so that’s a nice addition. It also appears to help eliminate blackheads, which sounds great to me because I haven’t yet found a product that does this successfully. The product description here taught me that you’re supposed to use the eye cream all around your eye, not just underneath it! It’s meant to be used twice a day, in the morning and evening. 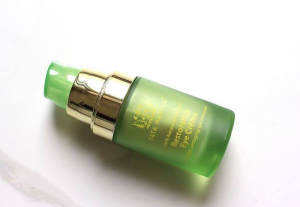 The Restorative Eye Cream promises to remove any signs of fatigue, like dark circles, puffiness and flakiness. Looking at the ingredient list, I think it’s important that this product contains aloe, which is very gentle on the skin and soothes redness and swelling. This is an exclusive recipe, and part of Tata’s aromatherapy line. I own lavender essential oils to help promote calmness and restful sleep, so I know that it totally works. The Love Potion is a mix of 10 essential oils that are meant to promote a strong sense of confidence and self-love. 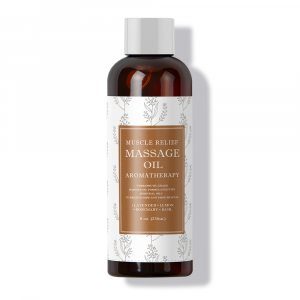 Some of the oils in this mixture are ylang ylang, jasmine, davana and atlas cedarwood. Davana and sandalwood are said to act as aphrodisiacs, which help you feel love and affection toward yourself. Self-love is an important part of feeling fulfilled and happy with your life. Tata said that her inspiration behind this recipe is allowing an individual’s spark to shine and help him or her feel unstoppable. Who could say no to that? Unfortunately, this is unavailable. The website promises a new batch is coming soon, and I hope so, because any kind of reliable confidence boost I can carry around in my purse sounds amazing. This is now known as Retinoic Nutrient Face Oil. 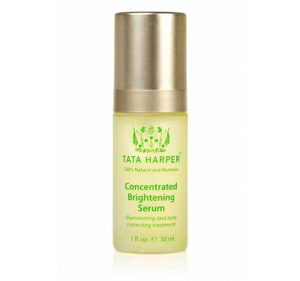 It nourishes dry skin and replenishes your skin cell barrier to smooth out wrinkles and provide a natural glow. 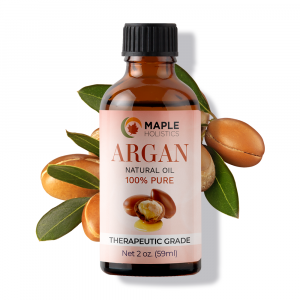 It’s a liquid moisturizer, and it contains amino acids and nutrients like antioxidants, which help protect your skin. Because it’s an oil, that means it absorbs much quicker and doesn’t feel heavy or greasy like a cream would. If you don’t like the sharper smell of a face oil, you can try this face mist which acts as a moisturizer, instead. It contains Hyaluronic Acid, which tightens the skin and smooths wrinkles. You can also put this over a fresh face of makeup to keep your skin light and moisturized. I wonder if this will work on your lips as well, because I often have a problem of lipstick drying out my lips. It’s perfect for your morning routine; adding a few seconds to ensure your skin looks and feels amazing all day. The Repairative Moisturizer is perfect for the winter, when your hands can get uncomfortably red and cracked. It’s a thick lotion that replenishes your skin. It contains Hyaluronic Acid just like the mist, but it remains on the skin longer as it is a heavier cream. The price may be a bit steep for a moisturizer, but if you have unbearably dry and cracked skin, sometimes the more expensive moisturizers do the trick. They can penetrate into the skin more deeply than a cheaper moisturizer can. For a brand that I’d never heard of, I’m thoroughly impressed by its history and the high quality of the products. Using the creams and oils is basically like going to the spa every day, because of the superiority of the products. What other face creams can you name that are made in-house from the very start of picking the aloe and lavender from the farm, to bottling the serums? It’s a company I am happy to stand behind. However, I’m not sure if it’s worth it to buy products you use once in a while, like a brightening serum, which can easily be replaced by weekly exfoliation. This is because of the short shelf life of the products once you have opened them. Still, if it’s something you want to be sure will work, like a moisturizer or an eye cream, these products definitely work and will result in a happier you. And you can’t put a price on that! Plus, if you use it every day, a more expensive product just might be more worthwhile. 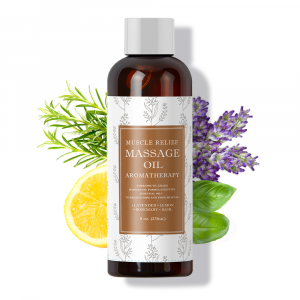 Some of the products are so unique and exciting, like the love potion aromatherapy. It’s a company that is certainly going places! And I’m sure you’re going to join them, too! Check out our DIY Natural Face Mask Recipes For Acne, Dry Skin And Oily Skin while you’re here at Maple Holistics!